Do you wonder, how to delete the copy of your old system C:\Windows.old? But be aware of loosing data. Deleting this folder prevents you from roll back to a previous version of Windows. And you must be an administrator, otherwise you wont be able to delete it. 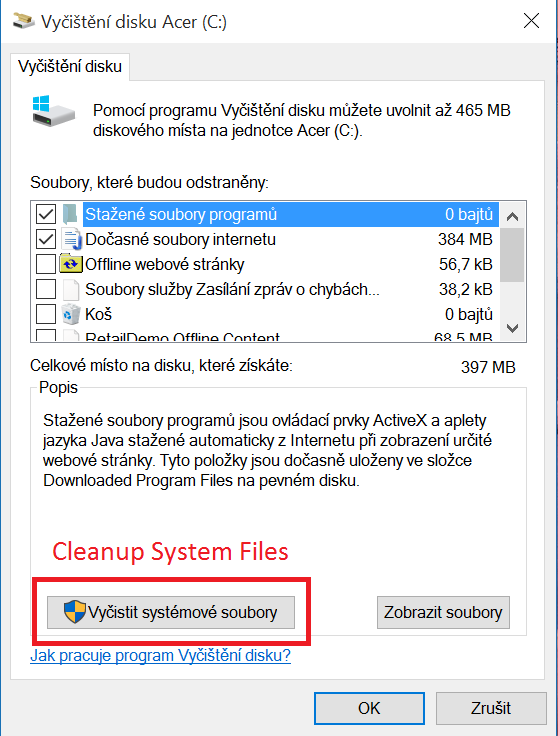 Select Cleanup System Files – be patient it might took some time. 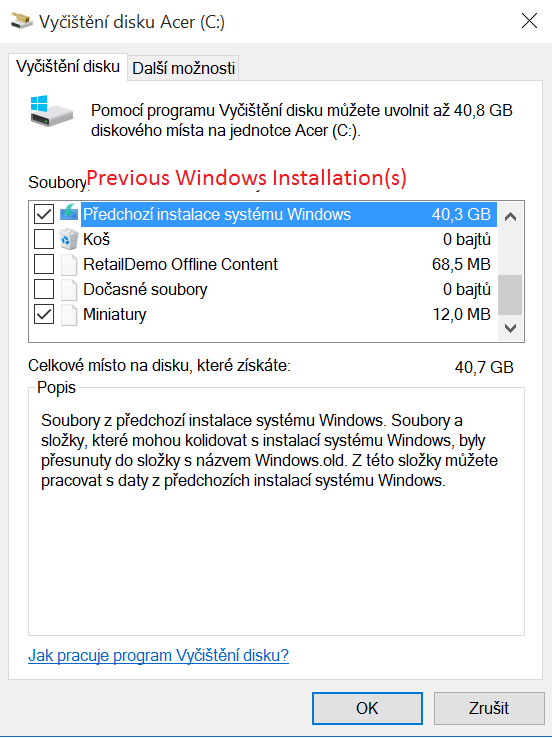 Now you should see Previous Windows Installation(s) item in checkbox menu. If you are really sure, select OK and its done.